A three -way divide on the UN Global Migration Compact, between the offices of the executive at the Stenbock House, the legislature (ie the Riigikogu) and the President's office, seems to be crystallising. 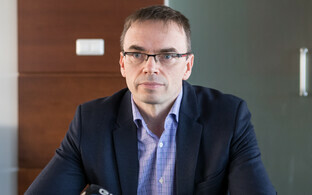 President Kersti Kaljulaid told ERR on Monday she will not attend the UN meeting in Marrakesh, Morocco, in December, without unanimity in government on the question, in contrast to foreign minister Sven Mikser's (SDE) claim that governmental approval was not needed, since the compact is non-binding. "As we have a single foreign policy in Estonia, the position of the government has to be made clear, first and foremost when it comes to the legal implications of the accord. 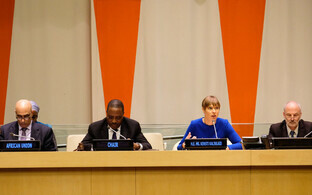 When that is clear, we can move forward," Ms Kaljulaid told ERR. "As long as we have no consensus and the position of the government is not known, the Riigikogu foreign affairs committee will not support the accord,'' she continued. The compact, which addresses the estimated 250 million migrants worldwide, according to the UN over 3% of the world's population, has met with strong opposition, not least from Donald Trump's US administration, which will not be in attendance. Governments of other countries including Poland and Austria have also said they are staying away from the meeting, where leaders will set out their countries' stance on the issue and effectively endorse the compact by speaking in its favour. 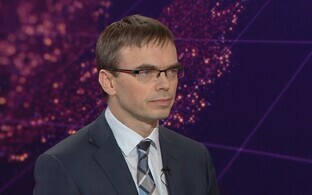 Foreign Minister Sven Mikser (SDE) has come in for criticism from the Riigkogu's foreign affairs committee head Marko Mihkelson (Reform) for what the latter sees as the government's keeping the Riigikogu in the dark on the issue. Meanwhile the Conservative People's Party of Estonia (EKRE) has unsurprisingly re-voiced its earlier oppostion to the agreement. 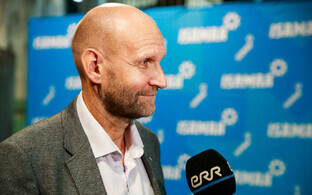 For his part Mr Mikser said that since the compact was non-binding, it did not require full governmental approval. 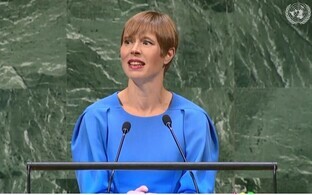 Ms Kaljulaid noted that, despite what has been assumed, nothing is going to be signed in Marrakesh but at the same time, she will not board the plane to Morocco without everyone in the government at home reading from the same hymn-sheet. "State leaders will declare positions and make speeches, [at the meeting]" she told ERR. 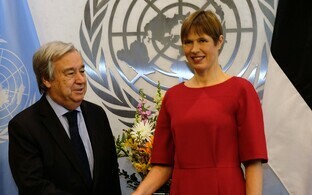 Ms Kaljulaid is a familiar face at the UN, having addressed the general assembly in New York as recently as September, and meeting UN Secretary-General António Guterres when she was in the city again at the beginning of November. Moreover, regardless of what Riigikogu representatives say, there had been a joint plan between the foreign ministry and the president's office on the Marrakesh meeting, Ms Kaljulaid says. "[This] was based on the assumption that there is consensus in the government, and the subject has been discussed with the Ministry of Foreign Affairs. Now it has been revealed that there is no such consensus in the government. So we are at a stage now where the topic has to be re-tabled,'' she continued. 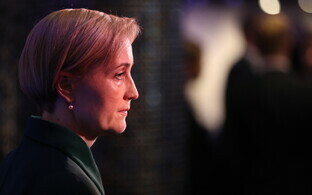 ''Estonia does not have several foreign policies; it is a joint effort of the Ministry of Foreign Affairs, the Government, and I as the president representing the foreign policy of Estonia," she added. There does seem to be some confusion as to the demarcation of responsibilities, particularly when parliament is added into the mix, and a lack of clarity about the nature and details of the compact. "It is odd that the government has virtually bypassed the parliament and has taken the initiative not to disclose the details of such an important accord," Mark Mihkelson is quoted as having said last week. The Riigikogu's role, according to its own website, includes ratifying international agreements, so it could be argued that Mr Mihkelson was not overstepping his bounds. "Migration has shaken the whole of Europe and thus it is extremely important to consider the topic in depth,'' he reportedly continued. 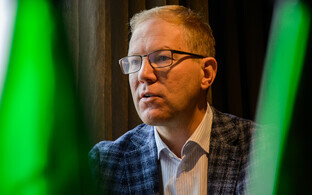 ''Only after having heard the arguments and the debate will it be possible to decide if Estonia is to join the pact or not ... Estonia is a parliamentary state and this debate needs to be had, even if it is at the very last minute," he added. 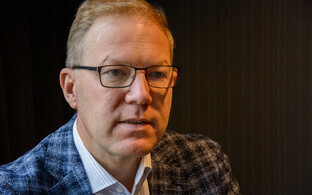 Professor of international law Lauri Malksoo is also due to present the foreign affairs committee, which Mr Mihkelson heads, his expert opinion. 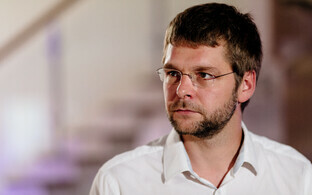 Mr Mikser responded on his social media account that: "If the chairman of the foreign affairs committee [ie Mr Mihkelson] feels that he has been left out of the discussion so far, it is likely due to the reason that the discussion, which took place in the committee as early as 13 March, was not led by him but by deputy chairman of the foreign affairs committee Keit Pentus-Rosimannus [Reform], who, by the way, as is apparent from the minutes, commended the ministry for sharing the information," stressing that the agreement is non-binding. Justice Minister Urmas Reinsalu (Pro Patria) also noted there was no provision made to vest the president with special powers related to the accord, as well as the government not endorsing its signing, echoing Mr Mikser's line. 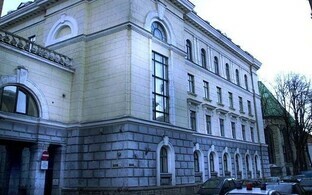 "On 15 March this year, the Ministry of Foreign Affairs submitted to the government for approval the negotiating positions of Estonia concerning the UN Global Compact on Migration and Refugees. These positions were necessary to formulate a common EU position with regard to these documents in the EU General Affairs Council," wrote Mr Reinsalu, also on his social media account, a popular means for politicans to get their point across in Estonia. "Granted, this is not an international agreement, as it would have been never possible to have a document as radical and large-scale as this endorsed by a large number of states using the procedures established for an agreement,'' he continued. At the same time, whether or not the compact evolves, via interpretation, into a set practice, which countries are obliged to observe and which is acknowledged by international courts and institutions, is a key question, Mr Reinsalu added. He cited the example of the European Court of Human Rights (ECHR – not an EU body), which, has established a very broad scope of interpretation for the valid UN convention on the status of refugees, he says. The Marrakesh meeting is scheduled for 10-11 December.